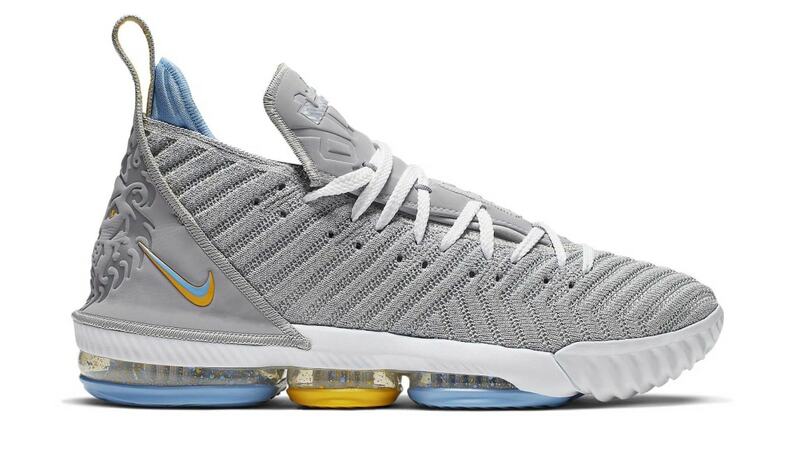 Nike Nike LeBron 16 "MPLS"
Inspired by the Lakers' throwback jerseys from the Minneapolis era, the "MPLS" Nike LeBron 16 features a grey Battleknit upper, light blue and yellow accents, and MPLS-style LJ16 lettering across the tongue. Release date is April 19, 2019 at a retail price of $185. News Nike LeBron 16 "MPLS"